We’re passionate about the community where we live. Here are some of the initiatives we support. Food for All’s mission is to support food literacy and facilitate access to adequate nutritious food for all members of the Swan Hill Region community. Mallee Rising founder & CEO has been involved with the Food for All working group since its inception in 2017. Mallee Rising donated time and services to design the Food for All website, establish Facebook & Instagram profiles and set up stakeholders on the collaborative platform Slack. 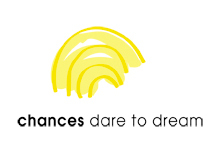 “Chances” is a funding body focused on providing financial support to recipients, who without help, may not have the opportunity to pursue their education or realise their talents in sport or the arts. Support can include financial assistance for the costs of studying at university or TAFE; the cost of training, equipment and competition for talented athletes and providing support to families with a child with specific learning requirements. Mallee Rising CEO Paul Dillon has been on the Chances selection committee since 2016. Swan Hill Incorporated is responsible for marketing and promoting the Swan Hill region as a place to visit, shop and enjoy. Its strategies focus on increasing visitation to the region, promoting shopping locally, engaging with and advocating on behalf of our business members as well as providing support and direction to them. Mallee Rising founder & CEO Paul Dillon has been a volunteer on the Traders’ Committee from 2015 to present and the Board from 2016 to present.